Trees, decorations and sparkling fairy lights are starting to spring up all over the place as Christmas well and truly takes hold! 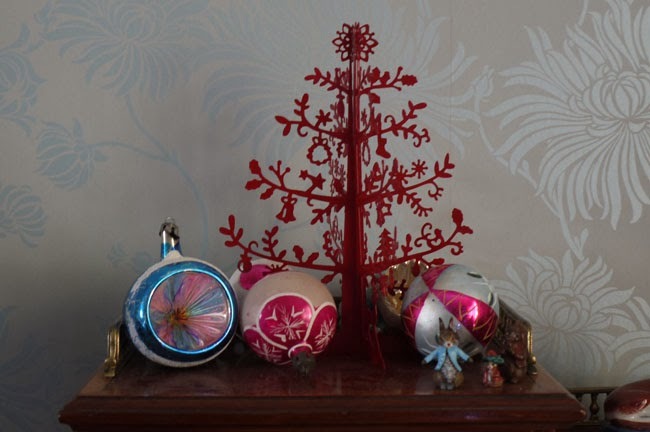 I don't know about you, but we like to supplement the bigger decorations with some more subtle displays throughout the house. 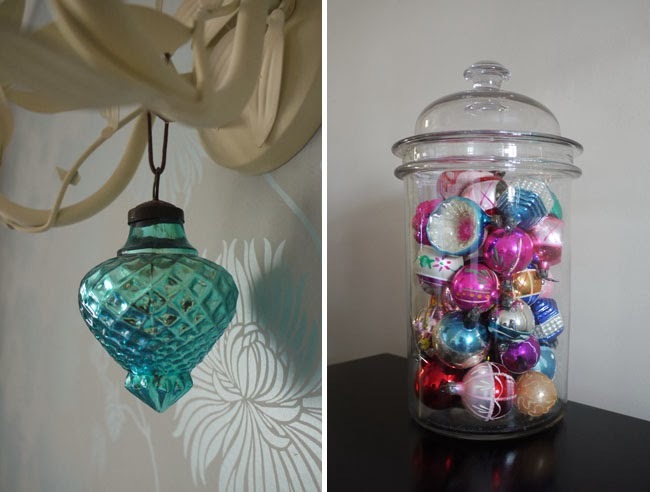 Vintage baubles displayed in large glass jars; colourful glass decorations hanging from light fittings; and clusters of vintage decorations alongside new additions to our collection - they all go a long way to spreading the Christmas spirit throughout the house without even a hint of tack! Let Lily Know: Do you keep Christmas decorations contained to one area of your house or like us, do you spread the magic?